Successfully Added Brilliant Bluetooth Bracelet to your Shopping Cart. When your phones on silent do you always miss it? Vibration not strong enough? If you simply can not tolerate missing calls but don't want to make a nuisance of yourself in the office then this brilliant Bluetooth bracelet is the perfect gadget for you. An adjustable rubber strap, holds an aluminum casing that hides a small motor and the Bluetooth electronics, it couldn't be simpler - if you get a call the bracelet will vibrate, quickly and silently alerting you. 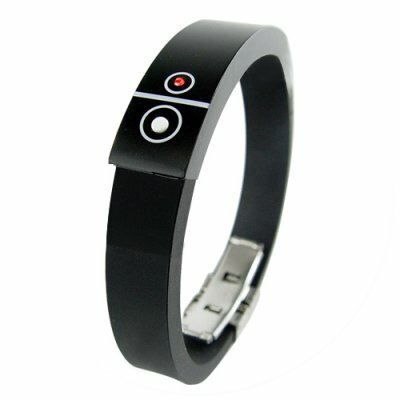 The bracelet does not feature a microphone or speakers it is used simply to alert the user. In stock in our warehouse right now. Buy one today to have it delivered to you so that it is in your hands and being used by next week.